crimeScene are pleased to be able to offer, as part of our 2014 programme, a Script Writing Workshop with renowned script writer, author and all-round talent Tony Cavanaugh. Tony Cavanaugh is a novelist, scriptwriter, story consultant and producer. 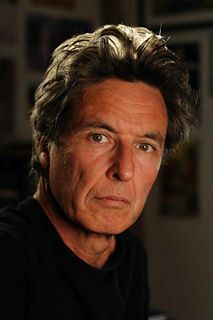 He has forty years’ experience in the film industry, in all fields, from the genesis of an idea to production. Over the years Tony has taught scriptwriting at Melbourne University, RMIT, Swinburne, QUT, UQ, AFTRS, the Australian Writer’s Guild and Griffith Uni. He currently teaches part time at the New York Film Academy. Tony has script edited and written episodes for various television shows including The Sullivans and Carson’s Law as well as The Flying Doctors and Medivac. Tony also created and produced The Day of the Roses, a four part mini-series around the worst train crash in Australia’s history. In 2012 Tony’s first novel, Promise, was published by Hachette Australia. Selling enough copies to earn him the description “best-selling author”, the book had good reviews in both Australia and the USA. A short story, The Soft Touch, was published as an e-book in February 2013 and his second novel, Dead Girl Sing, was published in March 2013. The Train Rider was published in February 2014 and his fourth novel Kingdom of the Strong will be published in early 2015. This script writing session is a fantastic and valuable opportunity for interested parties to learn from someone who has industry experience and a wealth of knowledge to impart. This event is being ticketed separately as it is a workshop. Participants will be expected to attend for the duration of the workshop.